The sale will include a historic original copy of the 19th Ammendment, which guaranteed women the right to vote. 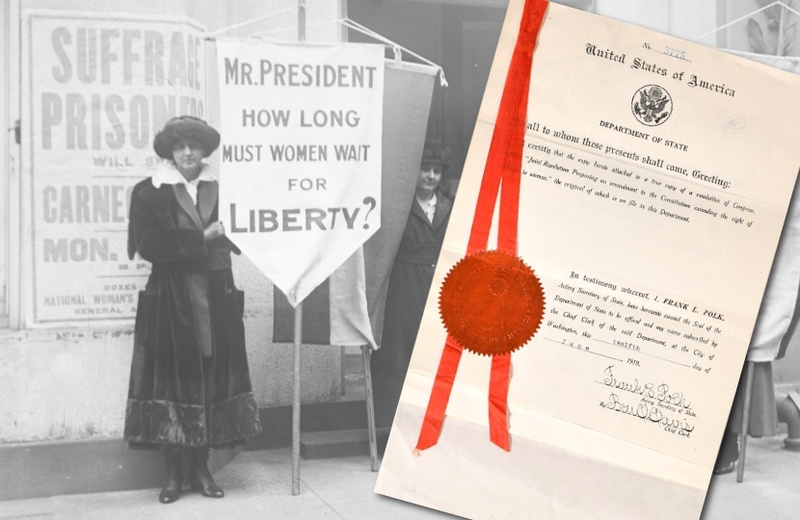 A historic document which helped changed the course of women’s rights in the U.S is amongst the top lots in the latest auction by One of a Kind Collectibles. 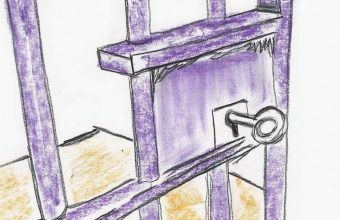 The new law gave women the right to vote for the first time, and was the result of decades of hard-fought campaigning by the women’s suffrage movement in the United States. It had initially been introduced in Congress in 1878 by California Senator Aaron A. Sargent, but took a further 41 years for it to be finally ratified and written into law. In August 1920 thirty-six states voted to ratify the amendment, with the final necessary vote from Tennessee coming in the night before the ratification period was set to expire. 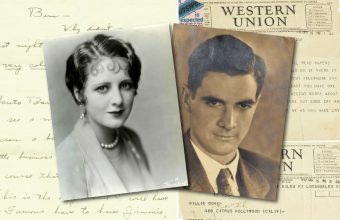 The document offered by One of a Kind Collectibles is one of the original ‘true’ copies of the amendment, sent out by the Secretary of State during this process which helped change the face of American democracy. 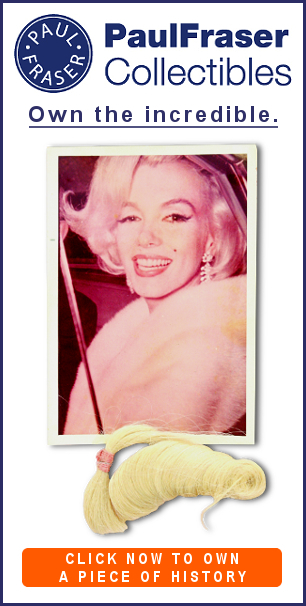 The importance of the document means it could fetch up to $20,000 when it crosses the auction block later this month. 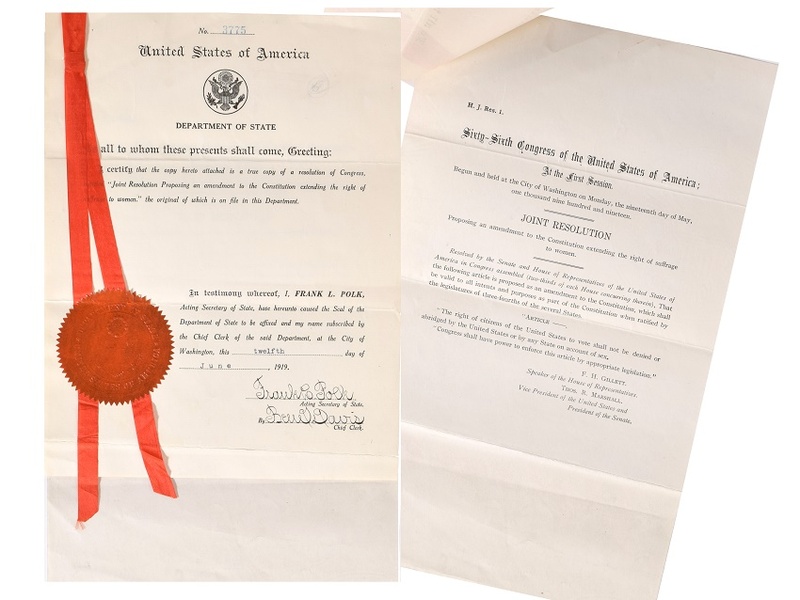 “It’s always an incredible feeling to hold and touch documents that changed history,” said David Gindy, president and owner of One of a Kind Collectibles. 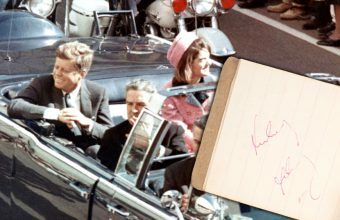 The document is just one of dozens of historic items on offer, which also include political memorabilia, autographs, books, manuscripts and space memorabilia. 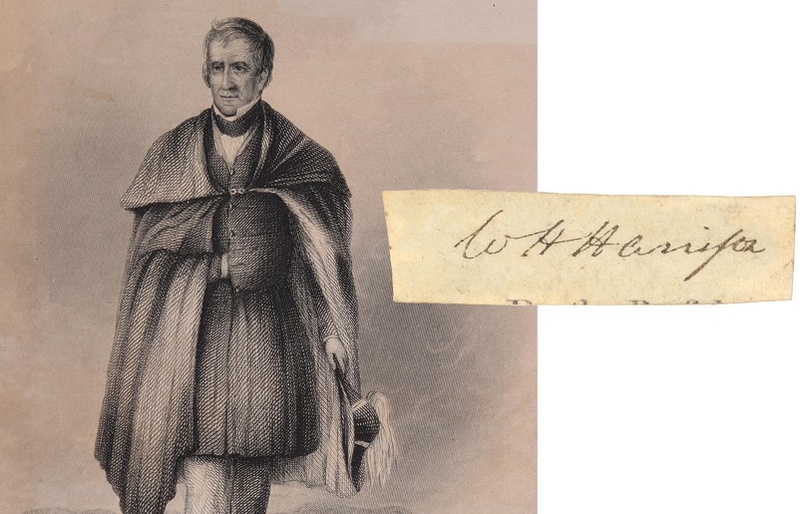 For collectors seeking presidential autographs, notable lots include documents signed by Franklin D. Roosevelt and Abraham Lincoln, along with the highly rare signature of William Henry Harrison – the ninth U.S President who lasted just a single month in office before he died in 1841. Further standout lots include a large, unique signed photographic image of Alexander Graham Bell, inventor of the telephone; a six-page patent application from 1882, signed by inventor Thomas Edison; a superb single signed baseball from the iconic ‘Sultan of Swat’ Babe Ruth; and a signed musical quotation by the French Romantic composer Louis-Hector Berlioz.